Have you received a Careless Driving, Stunt Driving, Speeding Ticket, Seatbelt or other traffic ticket in Milton, Ontario? From experience, our experts in traffic ticket defence in Milton know that traffic charges can be successfully fought and won in court. That is why it is important that you contact our experienced paralegals first, before deciding to plead guilty to your charge. 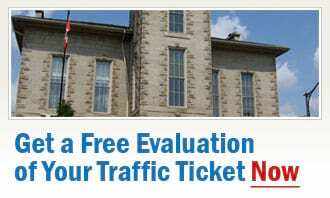 The initial, free, no-obligation traffic ticket consultation with our traffic ticket defence agents is always free. Many people who receive a traffic charge are actually unaware of the nature and full penalties of their charge, and the demerit points associated with their charge. We will make sure you are properly informed: we will take our time to thoroughly explain your charge, and the full impact a conviction can have upon your life and your ability to continue driving. Our goal is, first and foremost, to get your charge withdrawn before trial. However, if this is not possible, then we will work to get it dismissed at trial, thus completely eliminating any demerit points, fines, licence suspensions, or jail sentences from being issued against you. In the event that there are no grounds for having your charge withdrawn or dismissed, it is likely that the penalties from your charge then can be successfully negotiated down, to have a lesser impact (e.g. the amount of fines you face, your ability to drive, any potential time in jail, etc.) upon your life. We at Ticket Defenders®* look forward to meeting with you personally, but if you do not attend our area frequently, you are also welcome to contact us via telephone, fax, or e-mail. * You can also send us your request for a free, no-obligation traffic ticket consultation, now! By knowing your legal rights and seeking the advice of our experts on traffic ticket defence in Milton, you can protect yourself at court from penalties that may effect you for the rest of your life. Plus, the initial consultation is provided at no charge, so you really have nothing to lose by contacting us and discussing the defence of your Milton traffic ticket in court with us.